It’s officially summertime which means the weather is amazing, everyone is outside and having fun, and we at MyTopFace are really excited to be trying out a lot of new products! In this review, we will be discussing 2 brands that you’ve seen us review before called Bee You Organics as well as a brand that we are familiar with called Hydroxatone. We at MyTopFace had a great time reviewing these products and are excited to share what we think about them with all of you, so keep reading if you want to hear more about these awesome products. 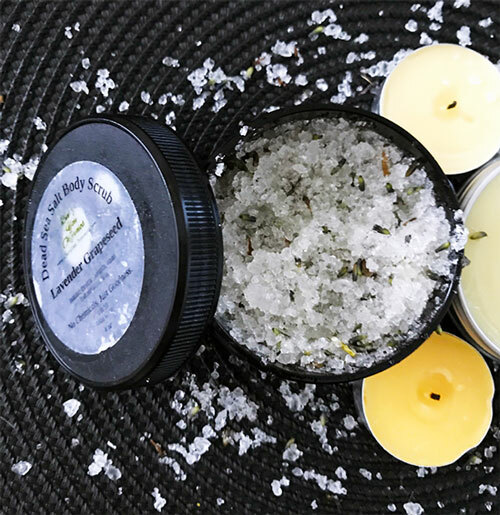 The Dead Sea Salt Body Scrub is an oil based full body scrub that polishes with Dead Sea Salt and Lavender Surchoix scattered throughout, while also keeping the skin hydrated with coconut oil. Some of the benefits of using this product include fading away stretch marks, and helping with problem skin, dry skin and aging skin. 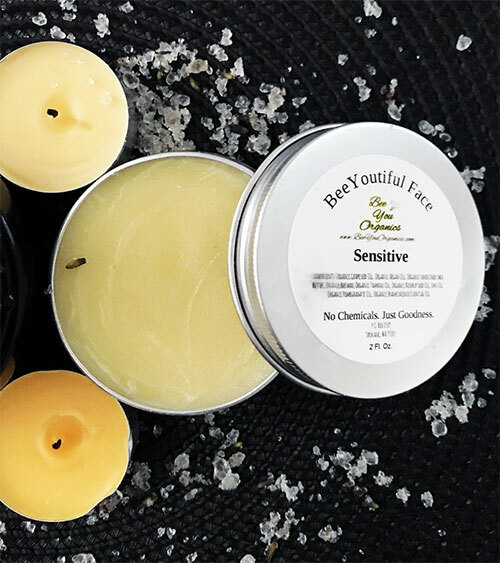 This product is made from a homemade recipe that includes Grapeseed oil, which is great for dry skin because it replenishes it of lost moisture. This scrub smells amazing and feels even better on the skin. After a nice long shower, we at MyTopFace felt that our skin felt soft, smooth, supple and super hydrated after using this product. We recommend using this product to exfoliate your skin before you shave, before going tanning, and weekly if you want to get rid of stretch marks and superficial surface scars. The Organic Face Moisturizer us a face moisturizer that claims it will make sun spots, hyperpigmentation, skin discoloration, scar, and fine lines and wrinkles a thing of the past because it uses all natural and organic oils to give and lock hydration into your skin and to make your skin appear younger. This product’s simple formula uses carrier oils and essential oils, derived from organic superfoods, because of their wonderful ability to heal dry skin and rashes as well as get rid of the scar, hyperpigmentation, and fine lines and wrinkles. The product comes in different formulas for different skin types, we at My TopFace were sent formulation for sensitive/acne prone skin. The other formulations of this product come in dry skin, hyperpigmentation, mature skin, and they even have a custom order option that we assume let you customize the formulation to make it fit just right for your skin type. The main ingredients in this product are argan oil, rosehip oil, and emu. The oils are jam packed with antioxidants and Vitamins such as A,C,E, essential fatty acids, and omega 3,6, and 9, that all help with soothing your skin, keeping it moisturized and free of pollutants, while also keeping your skin smooth, supple, and radiant. A little bit of this product goes a long way, so we at MyTopFace suggest small amounts of this product at a time and waiting for your skin to absorb all of it before applying more. The product comes in a simple metal tin that is small enough to keep in your handbag in case your skin is feeling dry throughout the day. We at MyTopFace can’t get over how moisturizing this product is. Using this product on our skin kept it hydrated all day, however when it got warmer out it did feel a little greasy on our skin. Because of this recommend using this product in the colder months when your skin tends to be dryer. 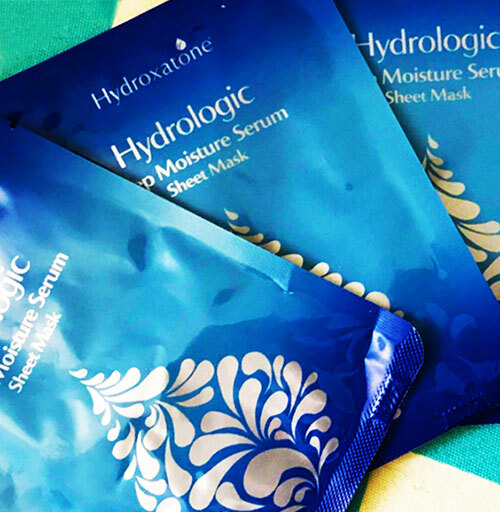 The Hydroxatone Hydrologic Deep Moisture Serum Sheet Mask is luxurious hydrating sheet mask that is anti-aging and helps with dry skin. It claims to deliver moisture to your skin while also enhancing and restoring its natural beauty. The formulation of this sheet mask consists of high quality ingredients such as Centella Asiatica Extract, which helps to restore skin’s firmness and elasticity, Sodium Hyaluronate, a naturally occurring ingredient found in skin that increases your skin’s ability to absorb moisture and strengthens your skin’s natural barriers, and Sodium PCA, which is an amazing ingredient that helps to reduce and prevent dryness on the surface of the skin. When used on a regular basis this mask is supposed to aid the naturally occurring enzymes in your skin with healthy and fast skin cell renewal, protection against environmental pollutants, and the removal of toxins from the skin. All you have to do is gently remove the mask from the pouch and pop evenly over your clean skin for 10 mins. While your skin in absorbing the wonderfully moisturizing serum we at MyTopFace suggest killing 2 birds with one stone by painting your nails, shaving, or taking 10 mins to yourself to meditate. After 10 mins gently remove the mask and pat any remaining essence, from the mask and the pouch, into your face and neck. We at MyTopFace love this product as we love sheet masks in general. The essence was very cooling and left a comfortable tingling sensation on our skin after it was fully absorbed. We love how this face mask seems to magically and quickly give you beautiful luminous and radiant skin even if only temporarily. We suggest using this mask once a week for to get the best results. 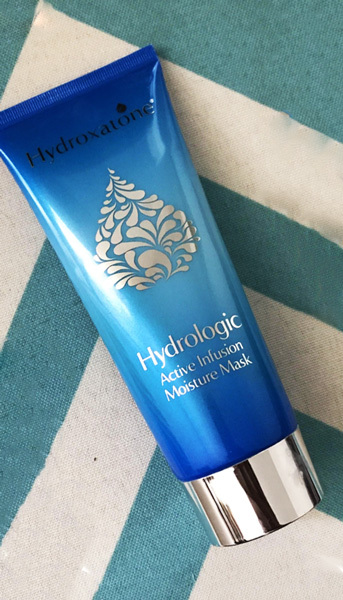 The Hydroxatone Hydrologic Active Infusion Moisture Mask is an unusual moisture surging face mask that delivers moisture deep into the skin. This product claims to lock in high amounts of moisture into your skin for long periods of time to help with the skin’s natural ability at removing toxins and pollutants. This product also claims to naturally activate the enzymes in your skin that work to maintain skin’s strength, firmness, and elasticity. This product is formulated with high-quality ingredients that are able to attract water from the environment and bind it to the skin in order to enhance and restore the beauty of your skin with reparative moisture and other ingredients. Some of the featured high-quality ingredients we were talking about include Resveratrol, a great and powerful antioxidant that also has anti-aging properties, as well as Sodium Hyaluronate, and Sodium PCA. 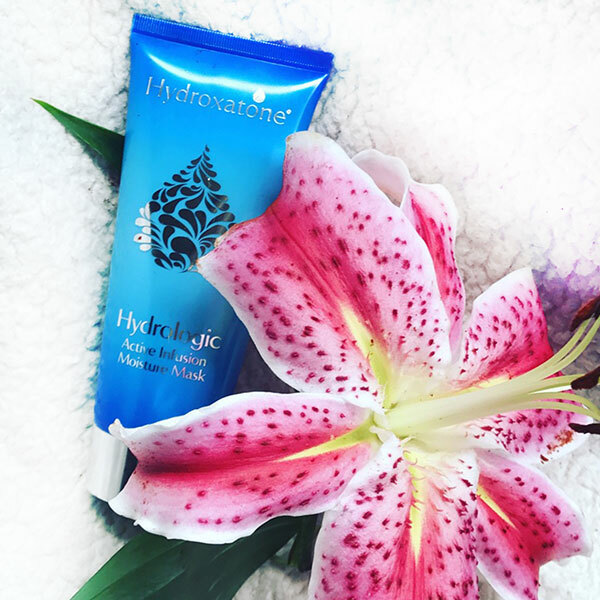 This product circulates long lasting hydration through the skin, which is why it is so amazing!